Planning a wedding...or other special event? 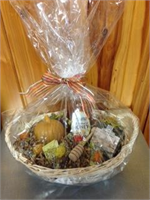 Let us help make your day a little sweeter with customized favors, center pieces or gift baskets. If you would like us to include a card, please write your message in Customer Notes. We reserve the right to substitute products based on availability. 1 - 1 lb. 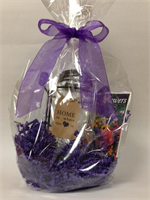 Honey, Maple Syrup, 2 Floating Heart Candles, Honey Candy, Pancake Mix & Tea or Coffee. 1- 6oz. Honey Mug, 1 Handcream, 1 Citrus Lip Balm, 1 Wintergreen Lip Balm, 2 Floating Heart Candles, Honey Candy. 1-1 lb. Honey, Honey Drizzler, 1-8oz. Jam or Creamed Honey, 1 Citrus Lip Balm, 1 Wintergreen Lip Balm, 4 Floating Heart Candles & Honey Candy. 1 - 1 lb. Honey, Maple Syrup, 1 - 5 oz. 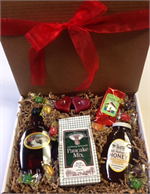 Creamed Honey or Jam, Honey Candy, Pancake Mix & Tea or Coffee. Carved Egg Candle, 16 oz. Honey, Wildflower Seeds, Honey Candy. Purple Shred & Ribbon. 8 oz. honey, 12 oz. 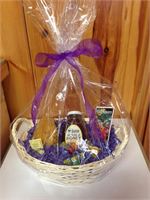 Pure Maple Syrup, Pancake Mix, Tea or Coffee, Carved Egg Candle, Honey Candy. 2 - 8 oz. Jams or Creamed Honey, 1 - 1lb. Honey and Honey Candy. 1 - 1 lb. Honey, Maple Syrup, 1 - 8 oz. Jam or Creamed Honey, Honey Candy, 1 pair 8" Beeswax Taper Candles & 1 Hand Cream.